THIS IS WHAT URINE CAN DO.. The picture below is the carpet backing. Notice the stains on the backing. 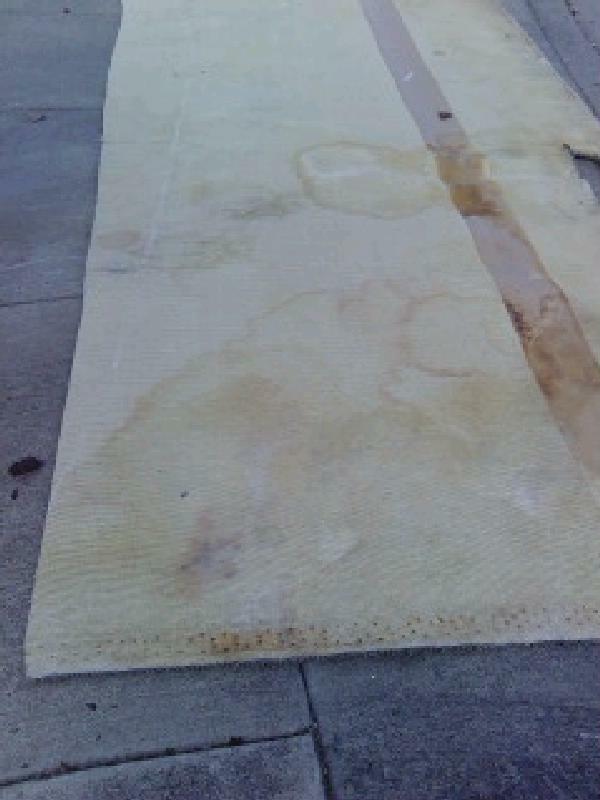 The urine from our favorite animal penetrated the fibers and went through to the backing and sub flooring..Urine is acidic and converts to an alkaline . It crystalizes and forms a urine salt. The sub floor has lots of stains in addition to dried urine salt. 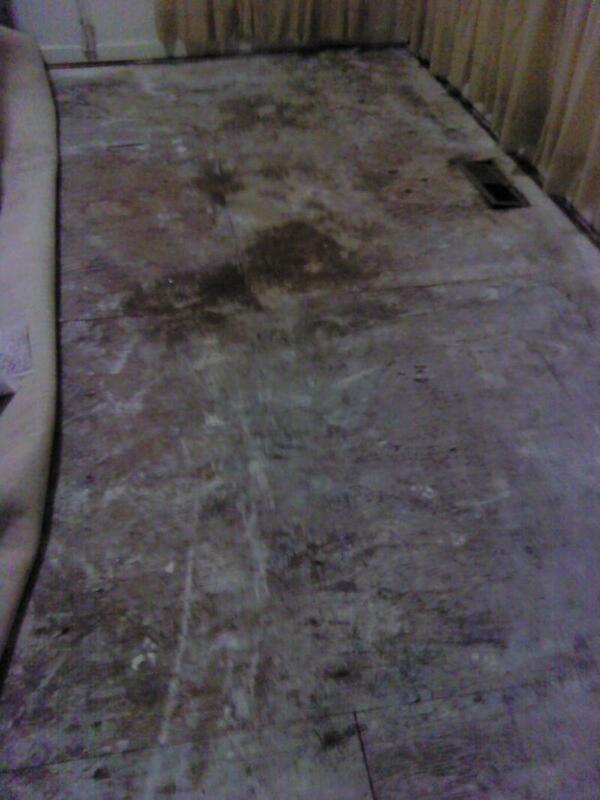 The sub floor had to be scraped of debris and cleaned with a 50% bleach solution. 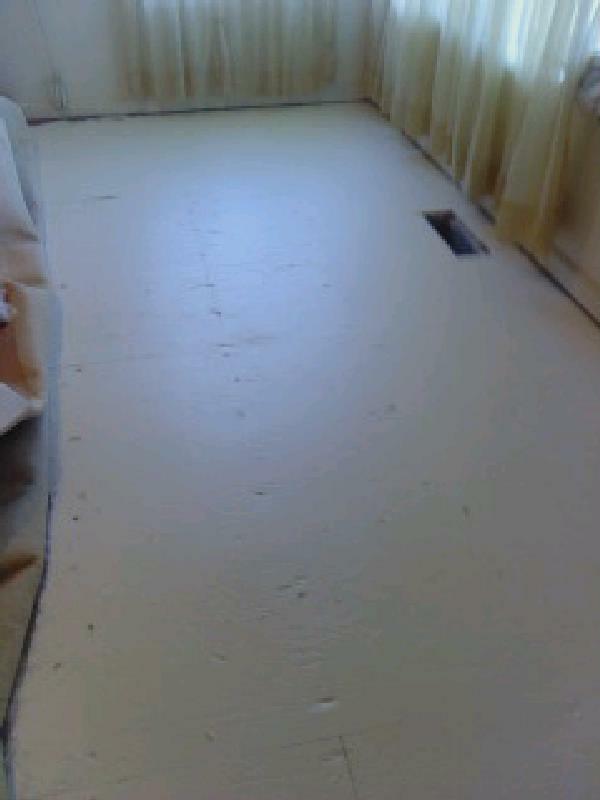 Once cleaned, the sub floor was ready to be sealed. Sometimes the sub flooring must be replaced. TREATED SUB FLOOR WITH 4 COATS OF SEALER.